We had a few warmer days after the snow melted before it got cold again. Since Little Guy learned to walk only shortly before the on-set of winter, he doesn't remember ever walking outside before. To his recollection, when we go out, one of us always carries him. But since it was finally so nice, I took the kids outside to play! He thought it was the most amazing thing to be able to walk around outside. He wasn't quite sure what to make of uneven terrain (quite different from the level floors of a house! ), but adapted quickly. He had loads of fun throwing and chasing a bouncy ball his sister got from one of the gumball machines at the grocery store. While they were playing, I snapped a few shots. 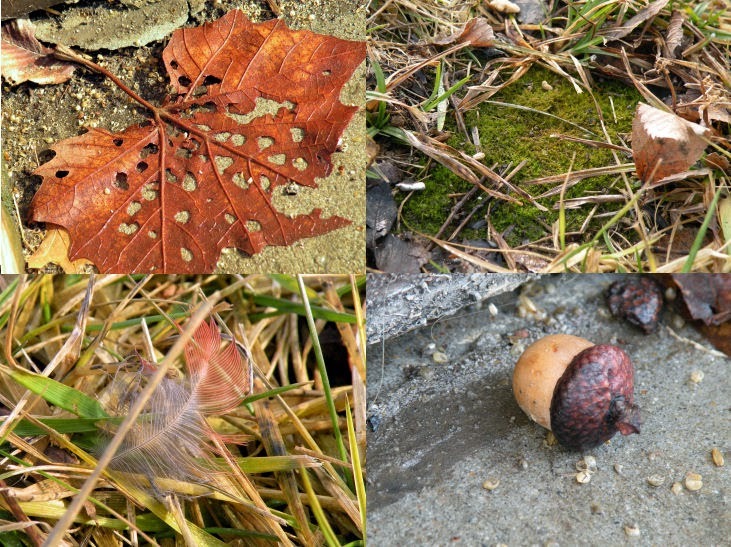 A leftover sycamore leaf, a green patch of moss, a cardinal feather, and an acorn. 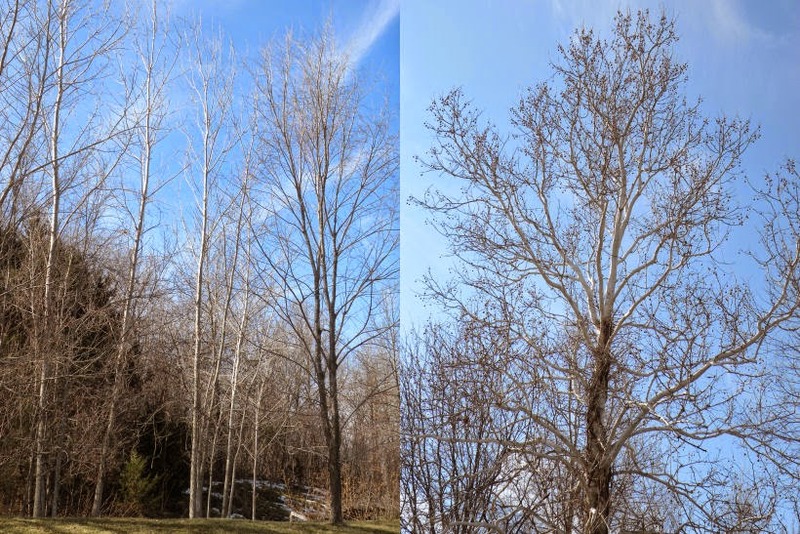 A stand of cottonwoods (see the little bits of snow left over?) and a view of the amazing sycamore tree that a photo will never do justice.